If you had been asked what Disney song for the band to play, what would it have been and why? wow, i would have frozen up and not been able to think of anything… this is a great one!!! lots of fun! I would ask the band to play one of the songs from Aladdin because they are so peppy and fun. 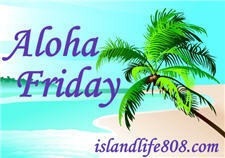 Kimberly@PrettyPinkMomma´s last blog post ..Aloha Friday – The Dishes Are Done Man! I’d ask for them to play “Bare Necessities” from The Jungle Book. “Kiss the Girl” from the Little Mermaid, because I looooove it so much!!! Kiss the Girl from Little Mermaid….its a favorite song of mine! Denise´s last blog post ..Royal Wedding Friday!!! 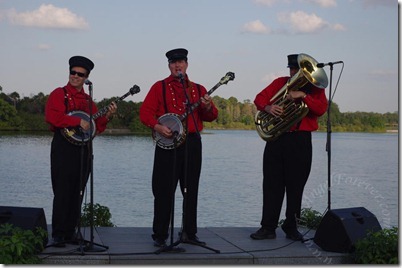 Oooo…it would have to be a fun upbeat song just like Zip-a-Dee-Doo-Dah!! Bare Necessities- is that Disney? JamericanSpice´s last blog post ..Questions Over Pecan Pie – Aloha!